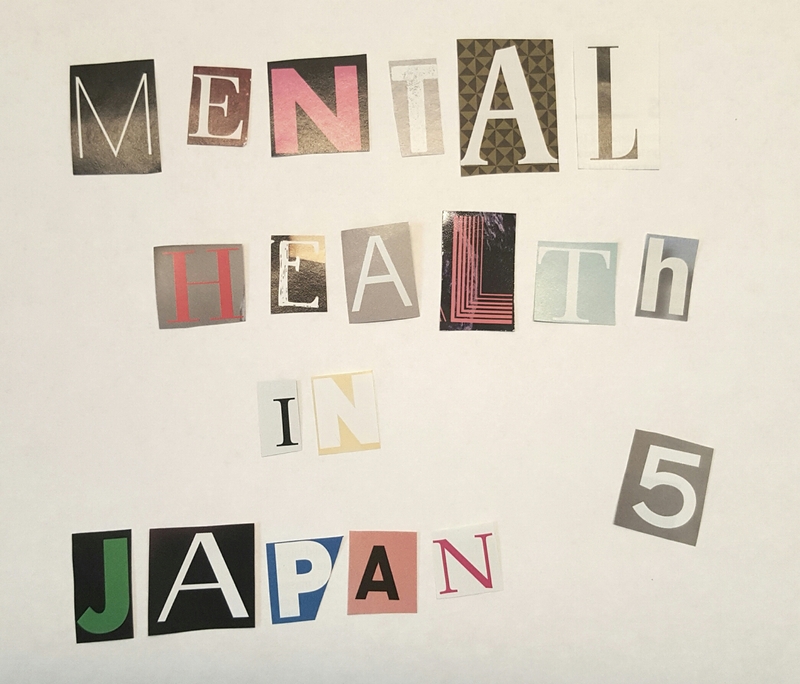 This blog post covers another part of my thesis, the fifth post already in this series of “mental health in Japan”. For those who have missed the previous posts, it is not too late to catch up: an introduction to the topic focussing on mental health stigma can be found here, and posts dedicated to ancient records of “madness” in Japan here and here. Today, we go back to medieval times to discover how “madness” was perceived in a Buddhist context, as well as in relation to the newly developing study of medicine. During the Kamakura and Muromachi period, Buddhism played a prominent role, which is reflected in the literature of that time. One representative example is An Account of My Hut (Hōjōki方丈記, 1212) by Kamo no Chōmei. The essence of this short story, “the world is a hard place to live”, corresponds with the Buddhist concept of impermanence. The following two fragments contain a reference to “madness”. Yes, take it for all in all, this world is a hard place to live, and both we and our dwellings are fragile and impermanent, as these events reveal. And besides, there are the countless occasions when situation or circumstance cause us anguish. (…) Dependence on others puts you in their power, while care for others will snare you in the worldly attachments of affection. Follow the social rules, and they hem you in; fail to do so, and you are thought as good as crazy. “To be(come) crazy” is a translation of the verb kyō suru 狂する. It should not surprise that the Chinese reading of 狂 is employed here, as Buddhism was imported from China via Korea. Although this “new” religion differentiated from the traditional folk belief and Shintoism primordially present in Japan, we can discern a pattern of hare and ke here (for a concise explanation of these concepts, see this post). Living in this world brings many hardships. For example, if you did not follow the conventions, you were believed to be “mad”. In other words, behaving abnormally on days this was not allowed (ke days) was perceived as “madness”. On the other hand, eccentricity was also thought to be a suiting characteristic of a monk in seclusion: Chōmei strives towards reaching a state of nirvana by isolating himself in a tiny hut in the mountains, following in the footsteps of other Buddhist monks. To break all ties with society is an unconventional decision indeed, but this Buddhist practice (the hare element) was regarded as a way to reach spiritual awakening in medieval Japan. The result for Chōmei, however, turns out differently. He fails to attain enlightenment, and the only state achieved is one of mental derangement, or “madness”. Comparable to talented artists, monks or other religiously engaged people had a special status connected with hare and were, therefore, permitted to express a certain degree of “madness”. This privilege allowed them to manipulate the actions of others. For example, the Buddhist scholar Zōga-hijiri 増賀聖 could not stand the secularism of his sect and escaped the monastery unpunished by pretending he was insane. Another problem that urged for fabricated madness was the immense popularity famous monks enjoyed. It was strictly forbidden in Buddhism to express any form of arrogance or pride based on an elevated status, learning or wealth, which forced some distinguished monks to act like madmen in order to keep the many admirers away. A famous example from the Nara period is Gyōki 行基, who, according to various sources, “appears as a wandering shamanic figure who used his superhuman powers to instruct peasants and unlicensed monks” but displayed “suspicious behavior”. As feigning madness appears to have been an effective means to isolate oneself, a state of mental derangement was perhaps tolerated among monks, but others were certainly not exempt from certain forms of stigmatization. The impact of Buddhism on the treatment of individuals with a mental disorder was not limited to written suggestions alone. Omata Waichirō points out that during the medieval period, a handful of religious institutions, Buddhist temples as well Shintoist shrines, offered provisions for the mentally disordered, such as Chinese herbal medicines treatment and moxibustion in the former, and incantations and exorcism sessions in the latter. As a result, people with a mental disorder undertook pilgrimages to “places of healing” such as Iwakura (see pictures below) that provided specialized treatment. Nevertheless, Hashimoto argues that such provisions were still exceptional in medieval Japan, and that most temples and shrines started to develop facilities for the mentally ill only late in the Edo period or at the beginning of the Meiji period. Important here is that people with a mental disorder were, just like those afflicted with physical illness, gradually being regarded as subjects of treatment. Moreover, it appears that religion and the first attempts towards psychiatric care are significantly entangled, as will be explained in the part below. Although a religious interpretation remained the major driving force behind daily life, the secularization of the Japanese medieval society was imminent. This secularization was further enhanced by the appearance of medicine studies. It is too early to speak of a medical science, since medical treatment for mental disorders as was first developed in Japan was either based on Chinese herbal medicine or yin yang theories. Remarkable is the fact that traditional phenomena such as mono no ke and spirit possessions continued to exist under the form of monotsuki 物憑きand were integrated in practical medicine. Among the various categories of monotsuki, possession by a fox spirit (kitsunetsuki 狐憑き) became by far the prevailing explanation for deviant behavior of commoners from the Edo period on. Hyōdō illustrates the co-existence of medicine and traditional notions of “madness” by giving examples of doctors and yin yang masters who were arrested on grounds of their alleged manipulation of fox spirits to possess others. She argues that all those who studied medicine were believed to hold the power to exorcise evil spirits as well, and were, therefore, also thought capable of having people possessed. Consequently, medical disorders, regarded as “diseases” caused by spiritual forces, were now treated with herbal medicines. Jien further advocates that “the wife of Nakakuni has attuned herself to the words of mad people such as miko, mediums, dancers, sarugaku players, even coppersmiths and the fellow,” and that, since she was simply ill, the couple should “not be listened to and should be put in isolation to drive out the fox spirit”. Jien attributes the wife’s “madness” to fox or badger possession (tanukitsuki 狸憑き) but denies its connection with hare, as opposed to the eccentricity of those called “the mad”, people involved with spirituality and arts. Nakakuni and his wife are not explicitly punished due to the acknowledged mental condition, but a rejection of their “madness” as an expression of hare contributes to a stigmatizing attitude of isolation, as is visible in Jien’s suggestions. As the field of medicine in Japan was substantially based on an already established tradition of Chinese medicine, new terminology and perceptions of “madness” emerging in Japan were heavily influenced by theoretical literature on medicine imported from the Chinese mainland. The Chinese vision on mental disorders is reflected in Japan’s first medical book, Ishinpō 医心方 (984) by Tamba Yasuyori 丹波康頼. In chapter three, Tamba theorizes about mental disorders, referring to them as chūfūtenbyō 中風癲病. A mental disorder is defined as an illness transmitted by a cold (chūfū 中風) causing a corruption of either yin or yang in the body. The same theory is presented in Dongui Bogam 東医宝鑑 (1613), an influential Korean work by Heo Jun, which proves that chūfūtenbyō remained the dominant theory until well into the 17th century. Significant for research on stigmatization is the fact that the early medical explanation for mental disorders bears striking similarities with the traditional notion of possession, in the sense that both interpretations consider the cause of the disorder to be external. Chūfū or Fubyō 風病 is somewhere else exemplified by “the Man with a Cold” (Fubyō no otoko 風病の男) on the Scroll of Illnesses (Yamai no Sōshi 病草紙, 12th century). The scroll contains drawings of various diseases and anomalies, accompanied by a description or entertaining anecdote. This particular painting depicts a man who is playing go with two ladies, but suddenly catches a “cold” (fubyō), upon which his eyeballs and limbs start to shake. His face is contorted, he is not able to sit properly and appears not capable to articulate properly, which is an amusing sight for the two ladies. A suggestion is that the man suffers from cerebral apoplexy. Left: Anonymous, “The Man with a Cold” in The Scroll of Illnesses, 26.0 x 30.9 cm, 12th century, Kyoto National Museum. Right: detail of the same work. – source: “Yamai No Soshi (Diseases and Deformities)” – eKokuhou. The fact that the two women start to laugh reveals their discriminating attitude, although it must be said that throughout the Scroll of Illnesses more ailments and deformities are depicted – as ridiculed by other people. Another point worth mentioning is that mental disorders are actually incorporated in this work, which proves that they were also regarded as illnesses, albeit somewhat peculiar. Furthermore, the word fubyō, “cold” is used, referring to the theory explained above. The idea that afflictions of the brain were caused by external forces would last till the Edo period, when mental disorders were contrarily viewed as internal problems. Additionally, throughout the scroll, not one supernatural explanation is given. There is an obvious breach with the traditional linkage of “insanity” to religion or spirituality. Instead, the drawings show scenes of daily life, of common people suffering from diseases and anomalies, and of other people’s reaction on the afflictions depicted. In other words, the absence of a hare connection and the strong presence of ke elements suggest “impurity” or kegare. This enhances stigma, as can be seen in the reaction of the two ladies on the seizure of the go player. That’s it for today! In a next blog post, we will look at how “madness” was portrayed in the performing arts of medieval Japan and how this is again linked to the concepts of hare and ke. This entry was posted in culture, history, religion, society, Uncategorized and tagged buddhism, history, japan, medicine, mental health by Nippaku. Bookmark the permalink.